Once a Republican and Democratic nominee are selected, every week we will post the latest prediction for the 2016 Presidential election electoral college based on the recent polling. 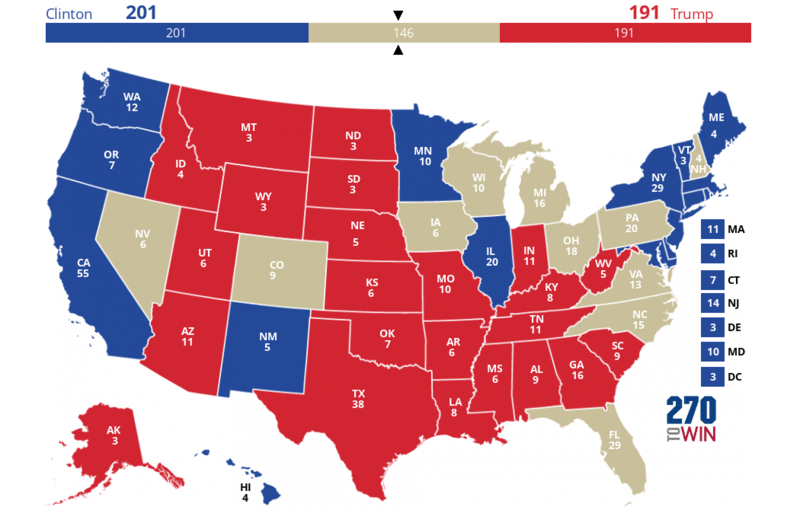 For a candidate to win they must reach 270 electoral votes. The map you see below represents the swing states in the 2016 Presidential election.